How to make Spicy Mulled Wine. Delicious Day of the Dead! An aromatic and delicious hot drink, perfect for serving to your guests on arrival at your party. 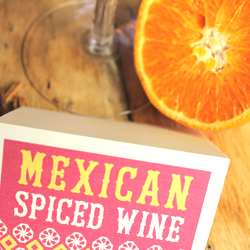 This ‘picante’ wine is spiced with cinnamon and peppercorns and is easy to make! How to make spicy mulled wine is easy. You will need. First put the sugar in a large saucepan with the quartered orange, sugar, spices, and enough red wine to cover the sugar. Let this simmer until the sugar has disolved and then bring the mixture to the boil for around 4-5 minutes, until the ingredients have formed a thick syrup. Now turn the heat down low and add the wine. Gently simmer for around another five minutes. Take off the heat and stir in the brandy, if you are using it. Strain through a fine sieve and serve your spicy mulled wine hot. Need some info on Day of the Dead? El Dia de los Muertos printable craft worksheets are perfect if you want a fun and easy introduction. We have classroom worksheets with puzzles, color-in and word games. also featured are easy to follow printable Day of the Dead craft activity worksheets. Make some crafts with our easy step-by-step instructions. 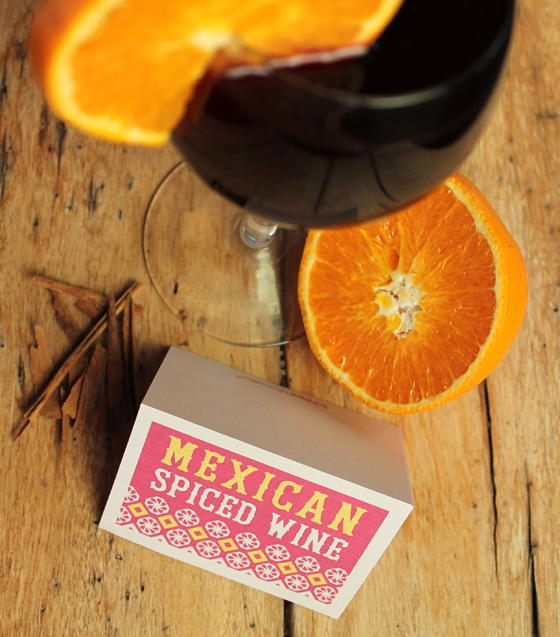 We hope you enjoyed our How to make Spicy Mulled Wine! If so, please give us a little love; by liking us on facebook, pinning us on pinterest or following us on twitter. Thank you!